Anyone up to date with the Naruto manga will have been expecting this news for quite some time, but nevertheless today it has now been confirmed that Naruto will run for five more chapters and come to an end in the 50th Shonen Jump issue for the year which will be released on the 10th of November. The series has been published in Jump weekly since 1999 and once it finishes will have gotten to a grand total of 700 chapters. Viz Media publishes the series outside of Japan and includes the series in Weekly Shonen Jump. So far 67 volumes of the series have been published outside of Japan. 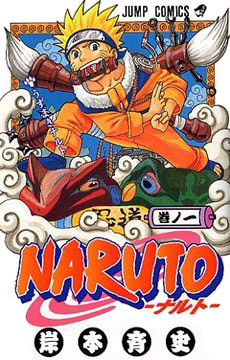 This entry was posted in Manga, Manga News, News and tagged Japan, Manga, Naruto, News, Shonen Jump, Viz Media, Weekly Shonen Jump on 6th October 2014 by Demelza Ward. Back in August the English Weekly Shonen Jump published a one-shot (Astronerd) by Blue Exorcist creator, Kazue Kato. 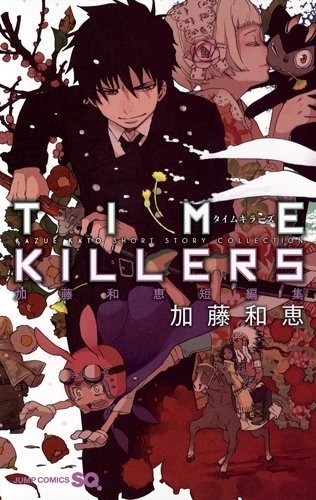 In the same issue the magazine announced that Viz Meda would be releasing Time Killers: A Short Story Collection by Kazue Kato. A month later I’ve picked up the book for review! This entry was posted in Manga, Manga Reviews, Reviews and tagged A Collection of Short Stories, Blue Exorcist, Kazue Kato, Manga, reviews, Time Killers, Viz Media, Weekly Shonen Jump on 16th September 2014 by Demelza Ward.